The weather this weekend could not have been more beautiful. Sunny and 60’s all weekend. In anticipation of the impending warmer temps I body clipped Rio on Wednesday (minus his legs). I feel like I got off easy this season with only 3 clips! 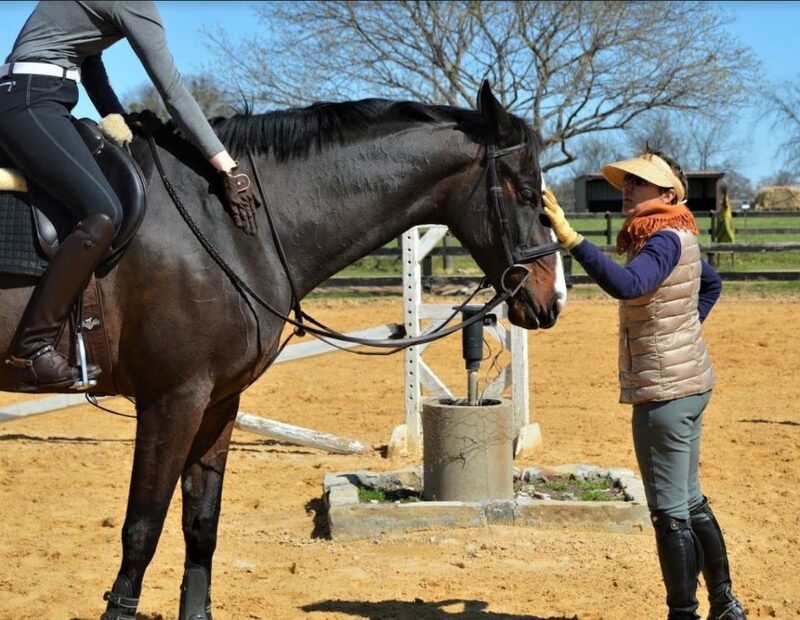 We had a wonderful hack on Thursday evening and I was really looking forward to our jump lesson Saturday with head trainer Stacie. She has been at away shows quite a bit this year, and I was excited to get her eyes on us again. 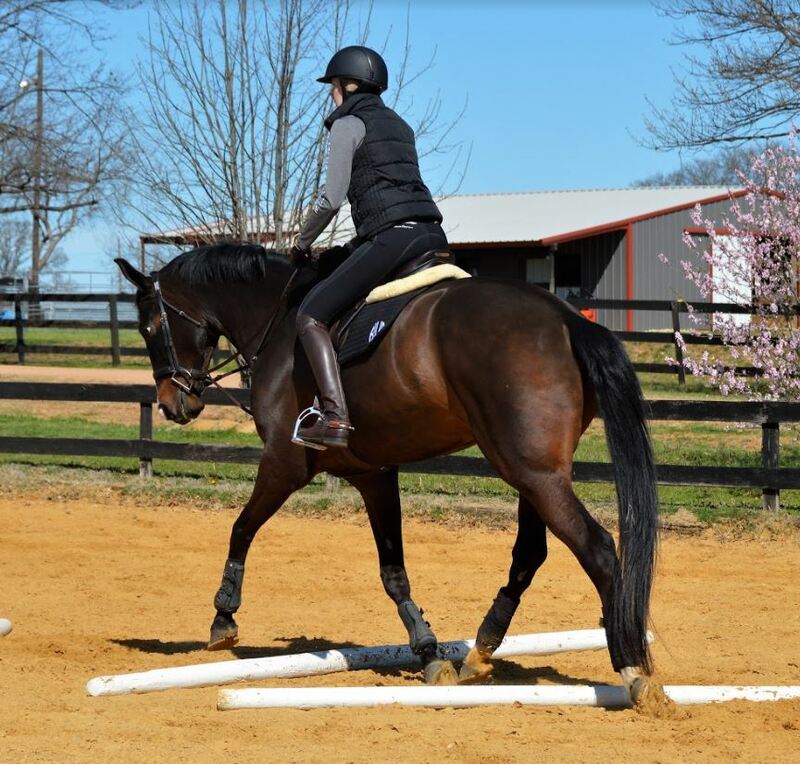 Our lesson started our with 3 trot poles set up in a spoke/pinwheel fashion. We struggled a bit going to the right because he kept wanting to slide out his outside shoulder instead on engaging and stepping under in the turn. The left was much ore successful although still not without effort. 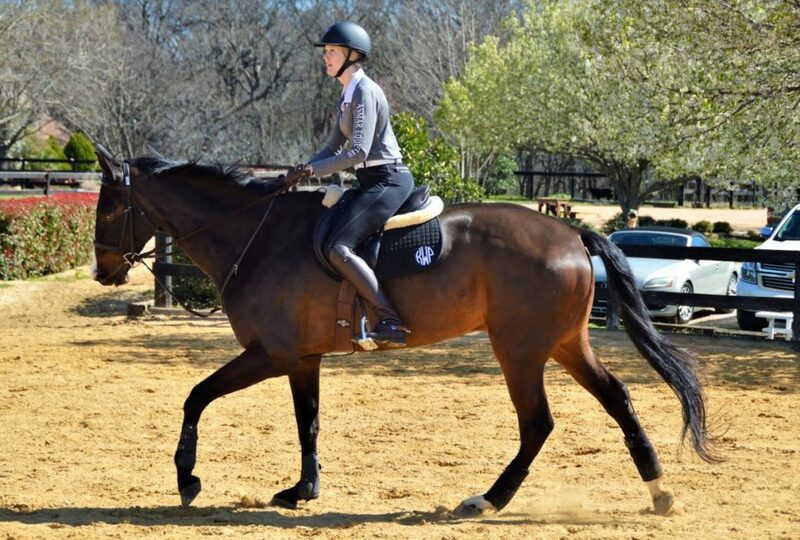 Once we got the trot down she spaced them out and had us go through at the canter. 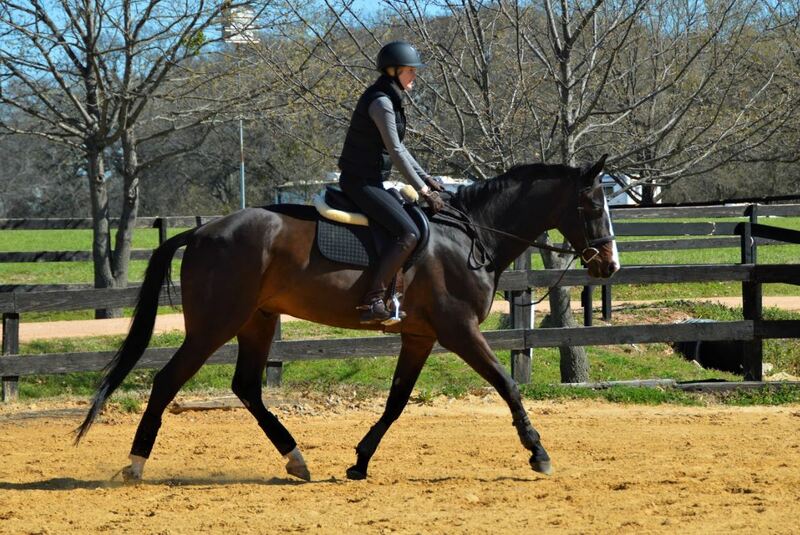 This was also super challenging but really put the emphasis on an uphill balance in the canter. 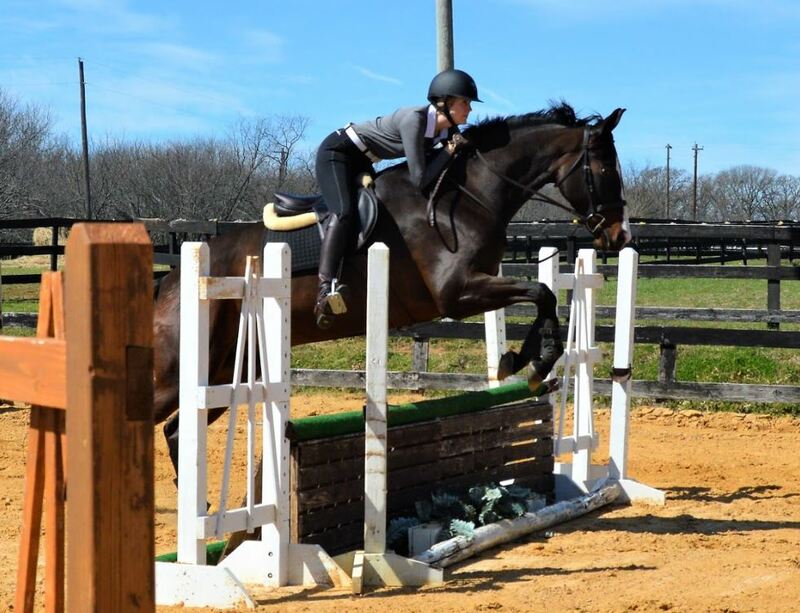 I could really feel the difference, and we focused on maintaining that canter balance as we progressed to jumping. In all honesty, we struggled a bit as we started jumping. 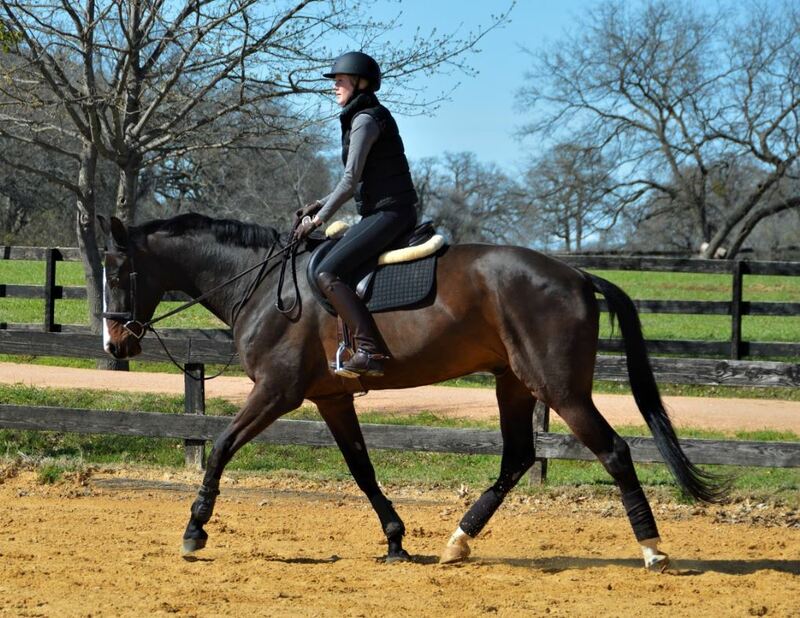 The change in his canter balance was hard to maintain, and hard to recover after fences. Rio was trying really hard, don’t get me wrong, it was just different and I was having a tough time keeping up. Things smoothed out a bit as we went, and trainer Stacie stayed super encouraging through all of our silly errors. 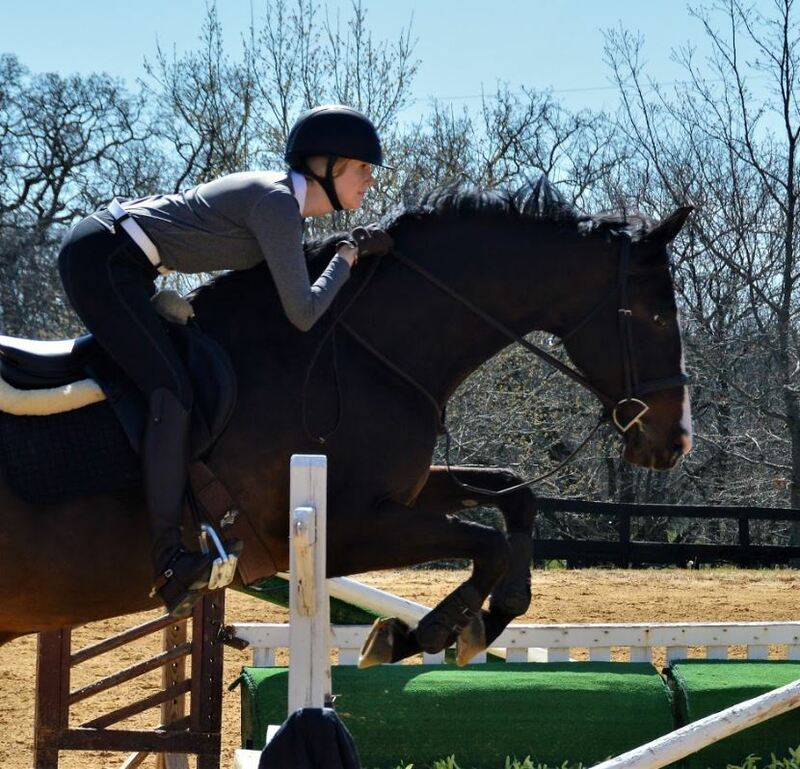 She was more focused on maintaining the canter feeling then the distances, which helped me not get all worked up over small misses. 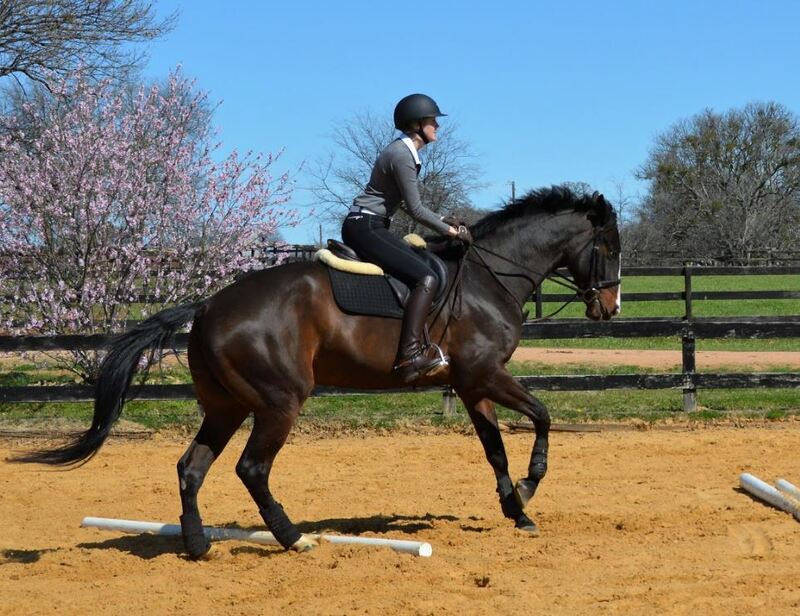 He was doing really well at landing the left lead when I wanted him too, but we were struggling with landing the right, which has popped up in some of our prior lessons as well. I talked it over with Stacie and explained that it is something we haven’t been able to manage lately and that I wasn’t sure why. She told me not to stress about it and to go jump the outside bending line (off the right lead) again. Again, we landed the left lead after the line. She explained that I was likely using too much outside rein to control his shoulder and to help turn him, so when I release it right before and over the jump he automatically falls in that direction, and thus lands the left lead. 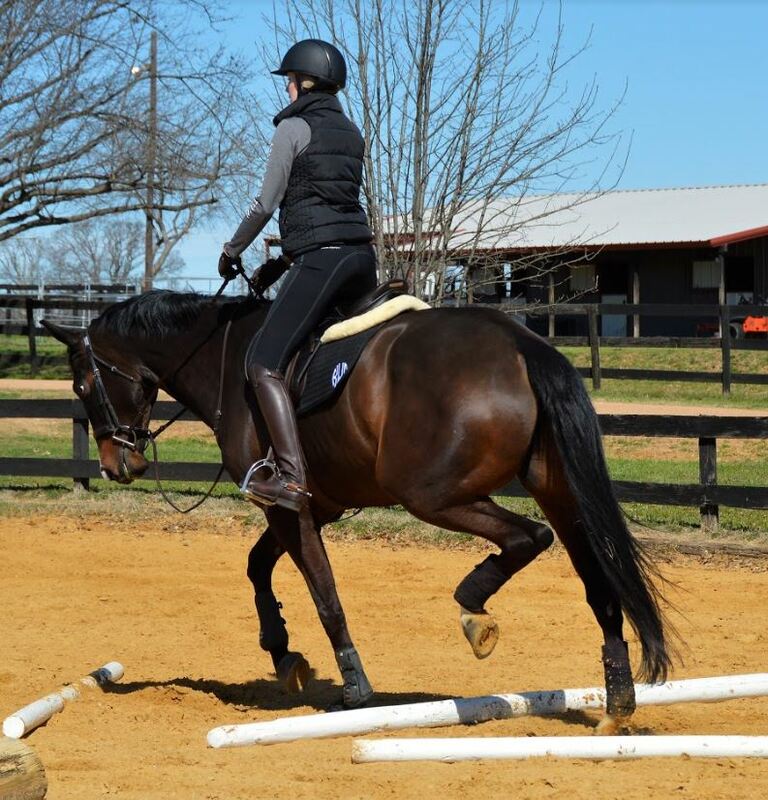 She had us try again, and coached me through the whole thing, encouraging me to not use the outside rein and use my leg if necessary. We landed the right lead, kept going to 2 more jumps, landed the right lead again both times. SHE IS AN ABSOLUTE MAGICIAN. Don’t get me wrong, I am under no delusions that everything is 100% fixed, but it felt like such a huge light bulb moment. I have no idea why I felt like I needed some much left rein, he was 100% fine without it. That being said, I still have to be careful to make sure he doesn’t take advantage and start sliding out the outside shoulder like he initially was trying to do in the pole exercise. Straightness is something we will certainly have to keep an eye on. 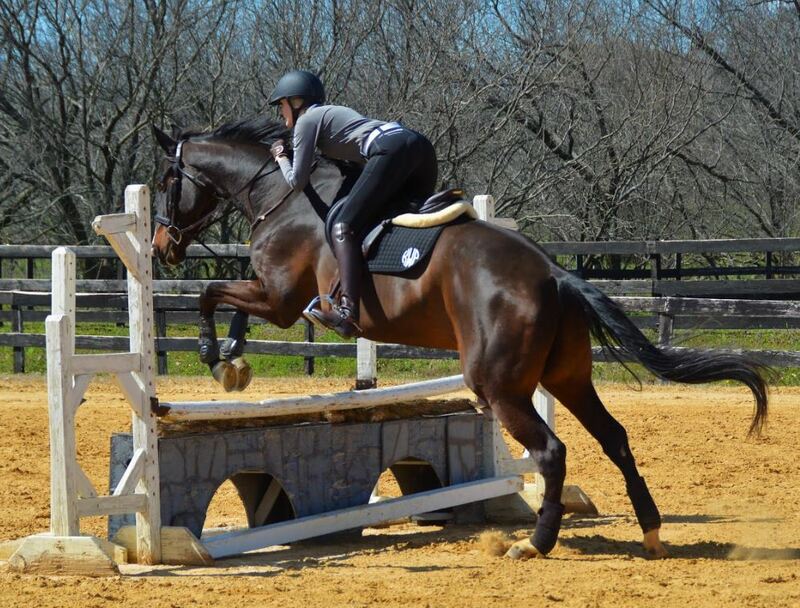 I also hope to continue to improve his balance in the canter, which will be a never-wending quest for us I’m sure. 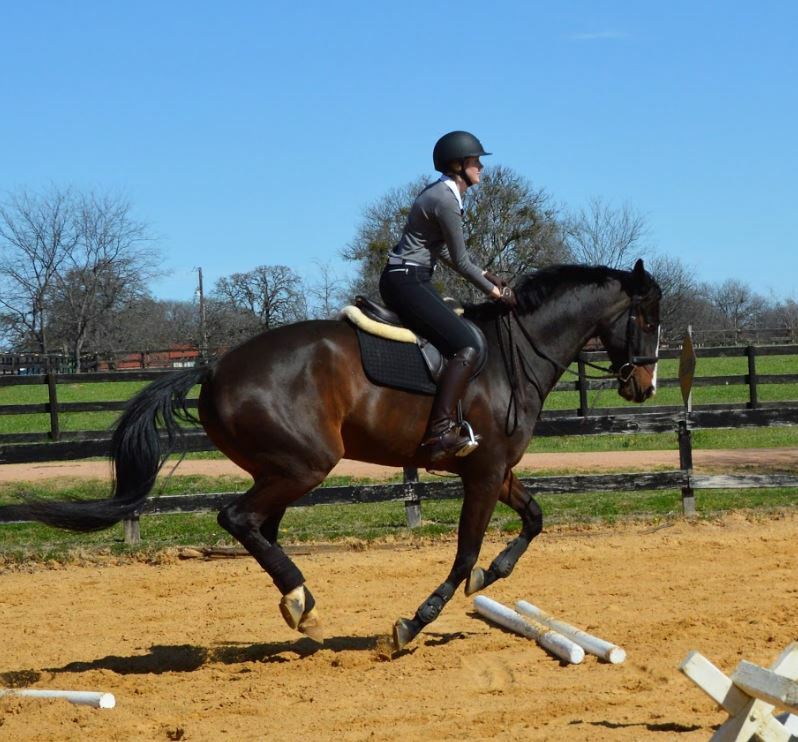 At least he has a cute and easy trot! We had a nice leisurely hack on Sunday while enjoying another day of brilliant weather. Fingers crossed this weather decides to hang around! I hope everyone had equally wonderful horsey-filled weekend!!! Big shout out to Liana for all the incredible pictures!!!!! So jealous of your weather! Looks like a beautiful day for a great lesson! I love those moments when you’re like “Ohhhh, THIS way! Amazing!” And it all just falls into place. Sounds like you guys are off to a great start this spring! Pinwheels are hard but Rio looks great! That pinwheel exercise looks and sounds so tricky! Good job Rio, getting it done.